In a world first, each Lamborghini car body will be individually painted according to customer-specific instructions. In high-volume automotive painting lines, customization is generally extremely difficult and expensive. The paint shop now being built at the carmaker’s headquarters in Sant’Agata Bolognese, Italy, will support smart manufacturing of the Urus, the luxury marque’s new SUV, in line with the Industry 4.0 vision. Give your car a breakthrough paint protection to bring it’s original looks. The new plant will revolutionize the car painting process, discontinuing the conventional rigidly linear configuration in favor of a highly flexible “workshop” with selected linear elements. This allows the efficient utilization of available resources, such as dryers or specific spray booths, even when producing diverse paint finishes, or when simultaneously processing components of differing materials. The paint shop’s exceptional flexibility stems from its layout and design. Its “brain” is the E-MES production-control system from the Eisenmann Industrial Software Company (Enisco). This intelligent software, which supports online planning, material-flow control, and integrated, digital worker guidance, takes automotive painting to a new level. “By leveraging E-MES, we can paint a variety of body types and materials, and produce customer-specific finishes within a single shop,” explains Enisco’s Managing Director Werner Gruber. “For a long time, production systems have been engineered to support standardized, high-throughput processes. We are now able to implement mass customization,” he adds. The paint shop for the Lamborghini Urus will be completed by year-end 2018. In addition to the E-MES production control software, Eisenmann is supplying a sealing system complete with material-supply equipment, top-coat spray booths fitted with E-Cubes for overspray removal, dryers, a high-bay warehouse, conveyors, and workstations. This will be the first time the Volkswagen Group will deploy an Eisenmann top-coat application system, which will include paint supply equipment. 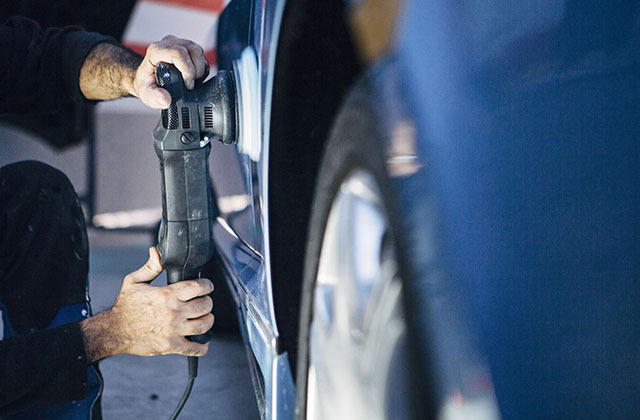 The solution features VarioBell, a rotary paint atomizer with direct electrostatic charging. This technology makes it suitable for interior and exterior painting of both plastic and metal components. A single atomizer can be employed for a variety of painting processes – in line with the highly flexible “workshop” production principle. “We believe Industry 4.0 is the ideal combination of flexible hardware, intelligent software, and digital services – maximizing customer benefits. We put this into practice at Lamborghini by achieving synergy across the entire Eisenmann organization,” explains Gruber. Smart, connected manufacturing with mass customization is to become a reality at Lamborghini. The company is achieving industrial transformation through digitization. Eisenmann SE is a leading international provider of systems and services for surface finishing, material flow automation, thermal process technology and environmental engineering. The family-run enterprise is headquartered in Böblingen, southern Germany, and has been advising and assisting customers across the globe for more than 65 years. It designs and builds flexible, energy- and resource-efficient systems that are tailored to customer-specific requirements, and support state-of-the-art manufacturing and intralogistics. The company combines flexible hardware, intelligent software, such as the E-MES production control system, and digital services to make smart factories a reality today. Eisenmann has a workforce of approximately 3,200 worldwide, with 25 sites in 14 countries in Europe, the Americas and the BRIC nations. In 2016, Eisenmann posted annual revenues of 862 million euros. ← How To Keep Your Car Gleaming New… Always!